Behold the Lamb of Advent! Fittingly, as we approach the season of Advent, NLM is pleased to make available to readers a new resource for explaining and defending ad orientem worship — a magnificent essay by one of the monks of the Benedictine monastery in Norcia, Br. Evagrius Hayden, O.S.B., entitled “Convertere, Israël, ad Dominum Deum Tuum!”: Whether the Holy Sacrifice of the Mass Ought to be Celebrated Towards the East. It is a tour de force of evidence and argumentation, drawing from many sources (biblical, patristic, scholastic, magisterial), and refuting the reasonings by which people today attempt to defend the versus populum arrangement. The essay takes the form of a Thomistic article, with objections, sed contras, a response, and replies to the objections. One benefit of this approach is that it shows the author has thought carefully about why people would prefer versus populum and/or object to ad orientem, and yet, at the end of the day, why these arguments fail. Br. Evagrius, moreover, does a great job summarizing the cosmological, anthropological, scriptural, and historical foundations for eastward-facing worship. From the inspired testimony of Sacred Scripture we also have several passages that indicate the preeminence of worshiping towards the east. These are of two kinds, either they indicate that Christ departs into and returns from the east, or else that certain geographical locations are to be found in the east that are known for the eminent nobility of their symbolism. Likewise, Christ himself was crucified facing west, as Damascene and Bellarmine attest, and thus we must face east so as to look upon him whom we worship. And since Christ ascended to the east, so do “we turn to the east just as if we were stretching out to him in his ascending with our prayers and our offerings.” And we must expect him to come again from the east at the last judgment. Besides the numerous texts from Scripture that refer to Christ as going into and coming from the east, and as being light, sun, and orient, there are also other places that refer to the nobility of the east as the origin of the human race and as the most fitting dwelling place for God’s people. According to the Septuagint, the Lord planted Eden in the east. And thus, as Basil the Great concludes, “we all look to the East at our prayers, but few of us know that we are seeking our own old country, Paradise, which God planted in Eden in the East.” Likewise Moses placed his tent in the east, the tribe of Judah camped there as well, and the gate of the temple of Solomon was turned in that direction. And then finally, the star of Bethlehem that led the wise men to worship at the crib of our Lord rose in the eastern sky (Mt. 2:2,9). Anyone looking for a thorough account should take a moment to download and print off this essay -- and share it with others. Here is a link to the PDF. Bishop James Conley, "Looking to the East"
Fr. Thomas Kocik, "[Re]Turn to the East?" Fr. U. M. Lang, "Orientation in Liturgical Prayer"
Peter Kwasniewski, "Fr. 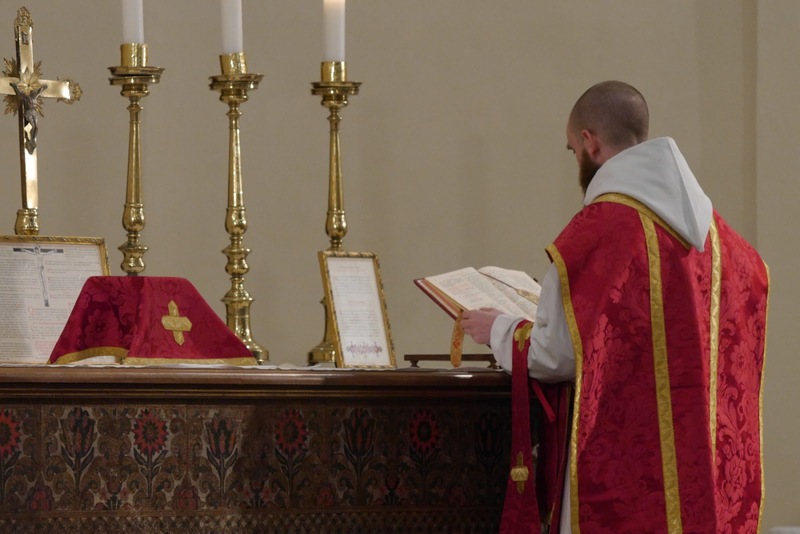 Dwight Longenecker on Worship Ad Orientem"
Dom Daniel Augustine Oppenheimer, "Towards the Second Coming: Facing the Liturgical East"
And of course, there is Fr. Lang's definitive study, Turning Towards the Lord. 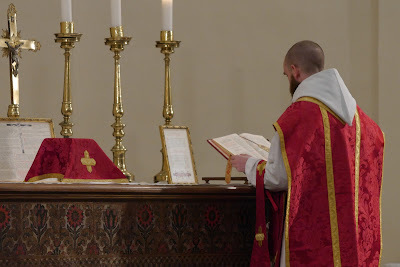 Next week, I will publish at NLM a study of the rubrics of the Roman Missal (Ordinary Form), demonstrating that it presumes the ad orientem stance.